FLEXIBLE FLOOR PLAN WITH WITH OUTSIDE SIMPLICITY! 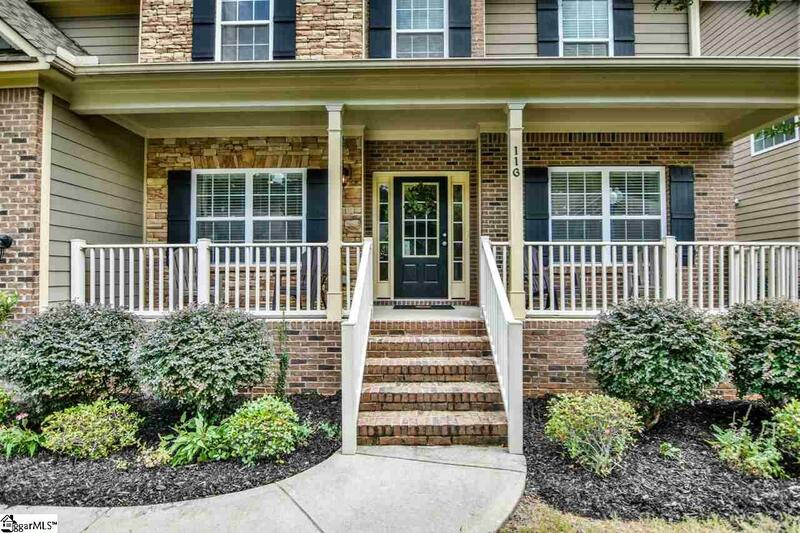 Rare Basement Home in sought after Five Forks! Impressive open, yet floor plan with trendy farmhouse touches. 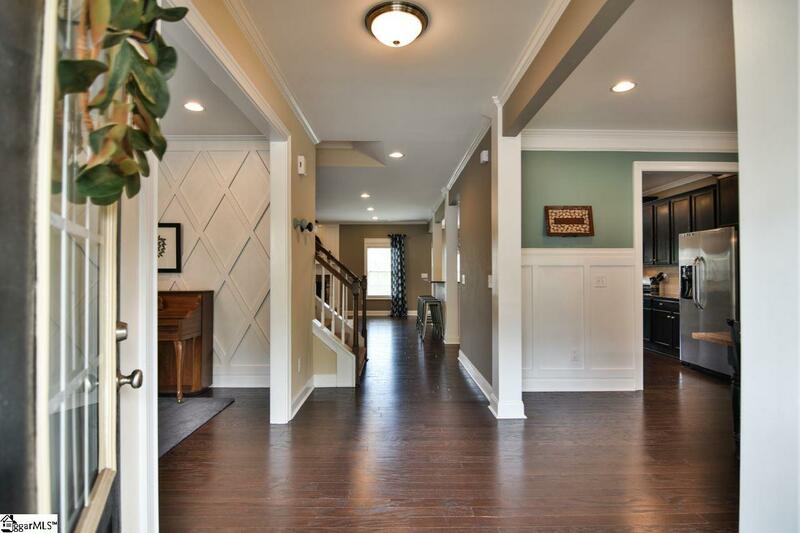 You'll love the rich espresso plank hardwoods throughout the main level. Formal living and dining rooms flank the foyer and boast outstanding mouldings, built-in book shelves and bench and exquisite light fixtures. The kitchen is sure to impress with espresso cabinetry, stainless steel appliances including a gas range, coordinating New Caledonia granite with oversized bar overlooking the expansive great room with stacked stone fireplace and gas logs as well as the breakfast nook showcasing shiplap. You'll also find an office or first floor suite. Upstairs you'll find the spacious owners retreat with trey ceiling, large bath with separate tub and shower with ceramic tile and impressive closet. 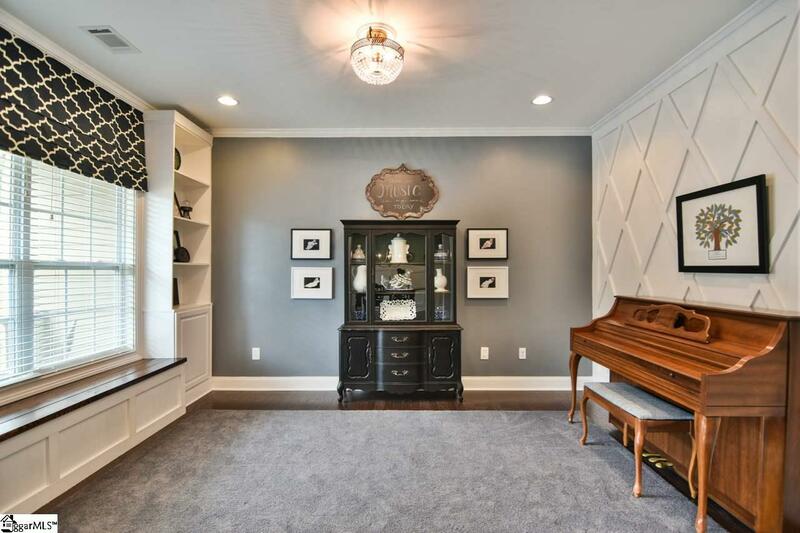 To complete the upstairs you'll find an additional 4 generous sized bedrooms and 2 Jack-and-Jill baths with ceramic tile, and roomy walk-in closets. The hard-to-find completely finished basement gives plenty of flexibility to achieve all of your room and space challenges. Oversized rec room, exercise room, in-law suite complete with walk-in closet, full bath with ceramic tile, children's gym room and of course finished, controlled climate storage space. The private backyard is fenced and level and is perfect for outdoor living. 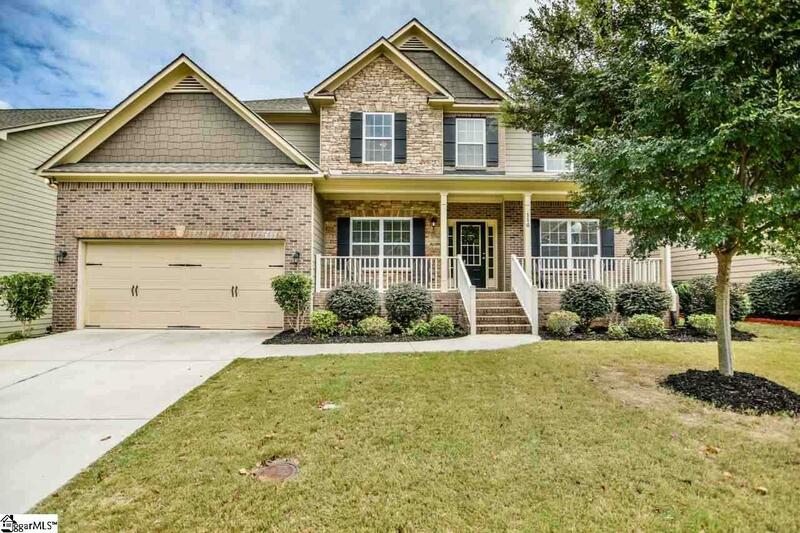 Sought after Bells Crossing, Riverside Middle and Mauldin High School as well as all the conveniences of Woodruff Road in Five Forks has to offer! Listing provided courtesy of Melissa Tofield of Allen Tate Company - Woodruff.